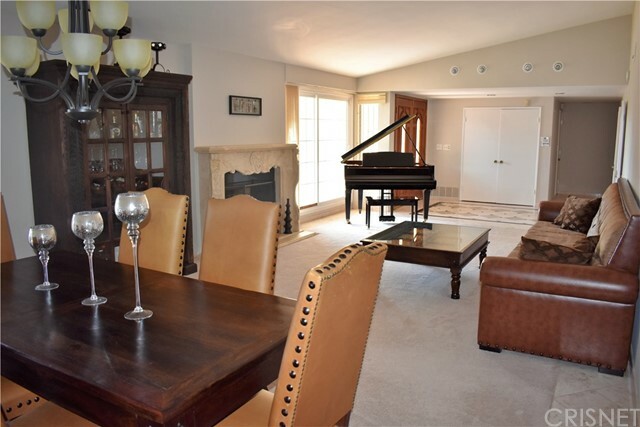 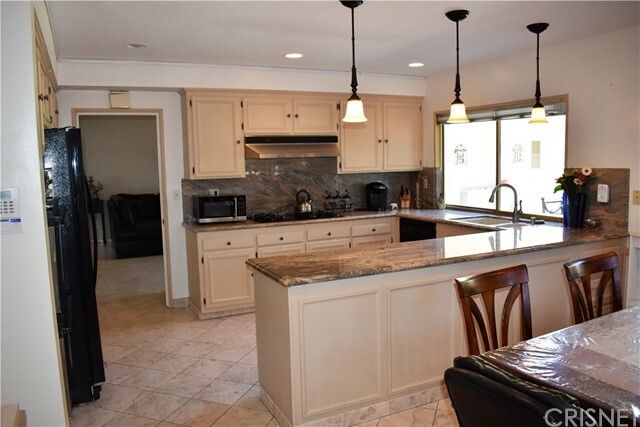 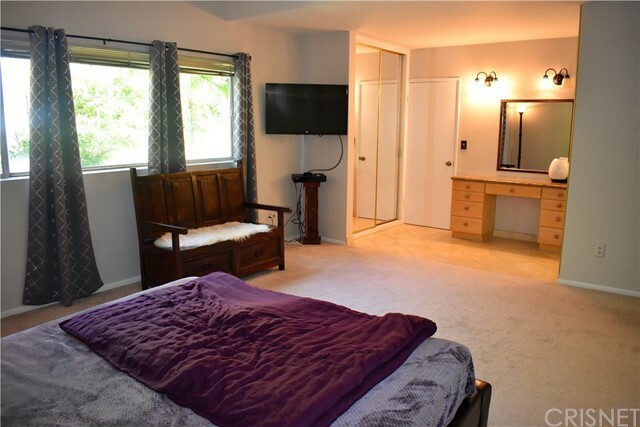 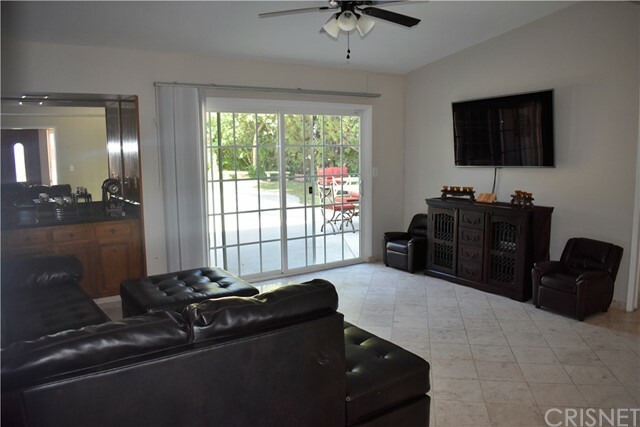 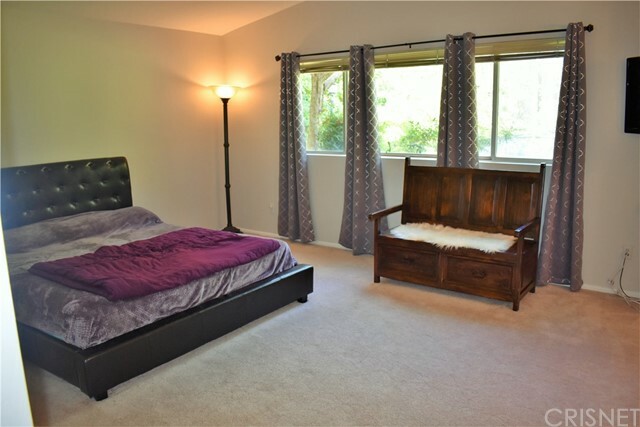 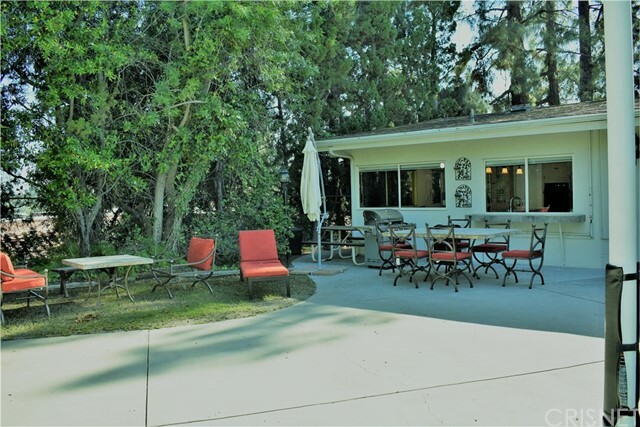 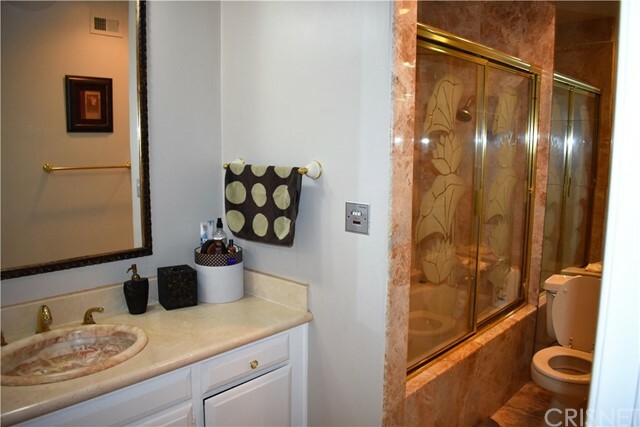 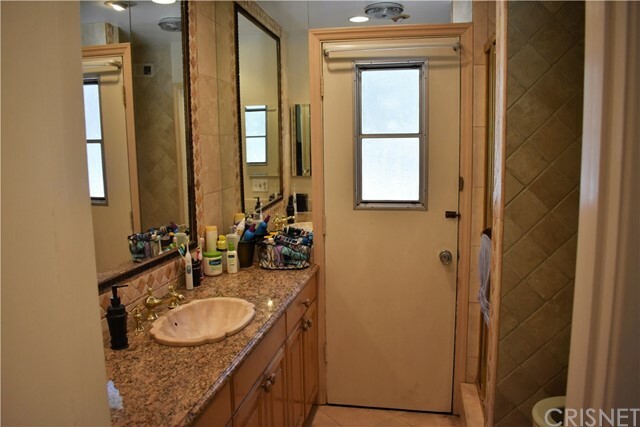 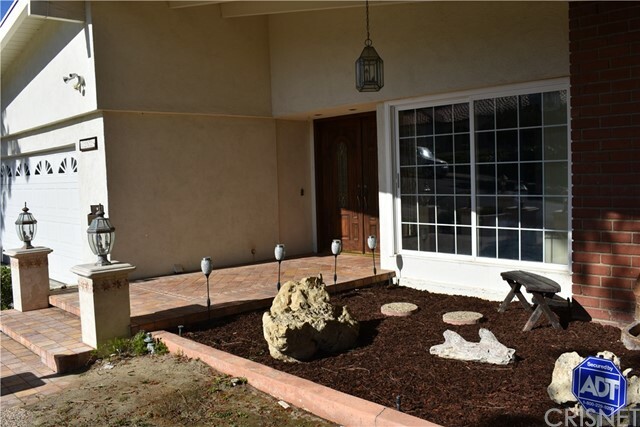 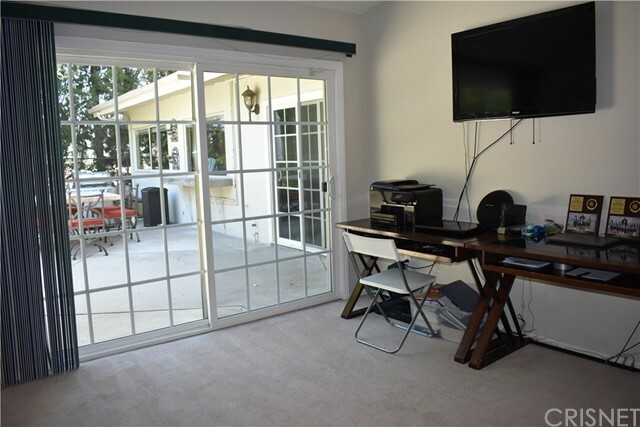 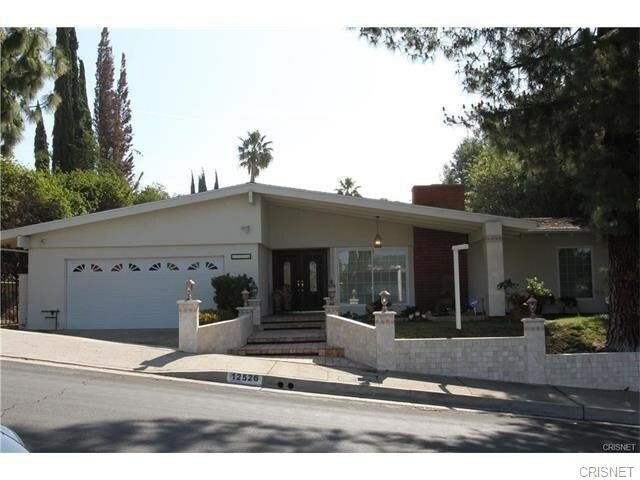 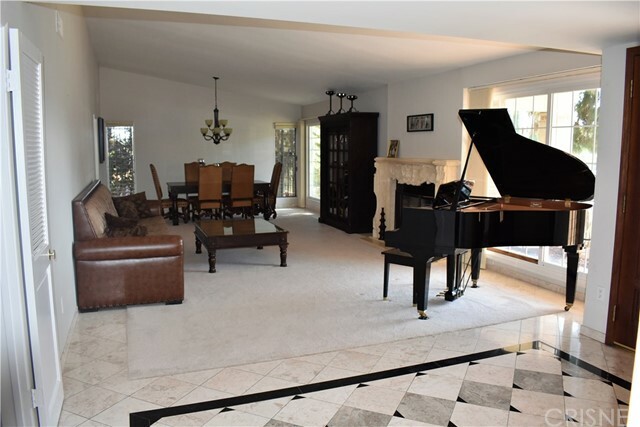 Lovely single story home located in one of Granada Hills’ most desired neighborhoods! 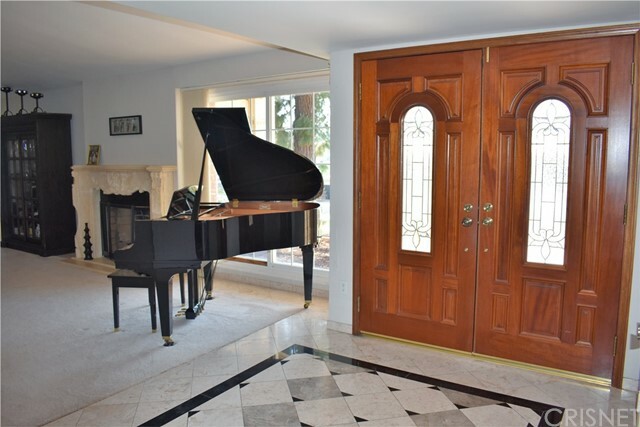 Walk up to the beautiful double door entry through a travertine walk way lined with gorgeous pine trees. 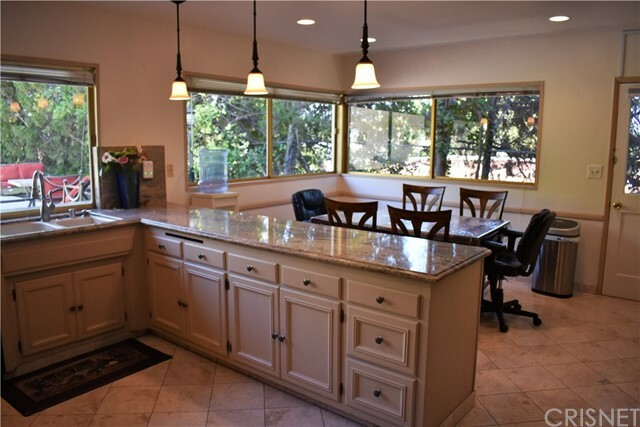 The house has an elegant floor plan with smooth vaulted ceilings through the entire house. 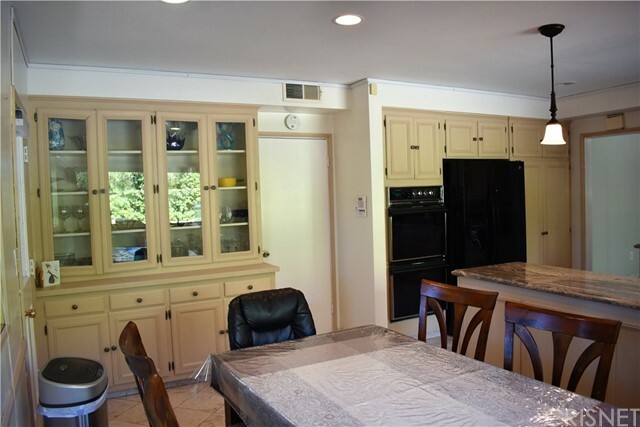 It features a large formal living room and dining room with a striking travertine fireplace; a family room with a wet bar; a spacious kitchen with large windows overlooking the beautiful backyard, granite countertops, lots of cabinet space and a breakfast area large enough for a full sized dining table; 4 bedrooms, including an extra large master, and 2.5 bathrooms. 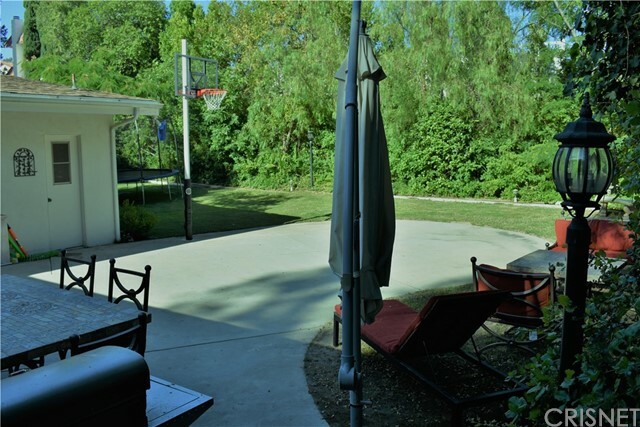 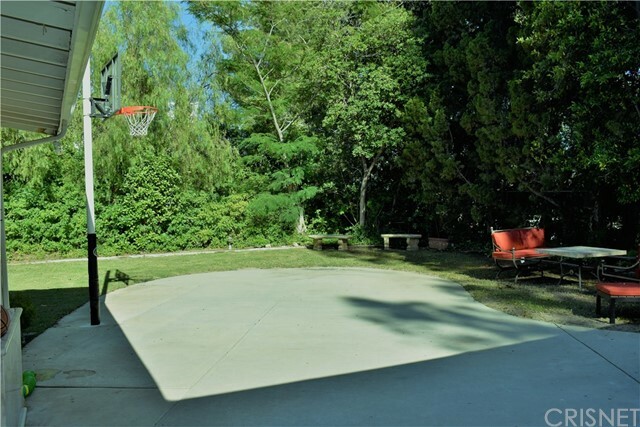 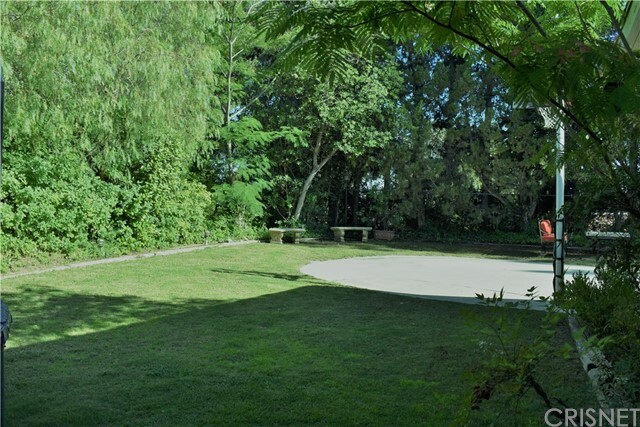 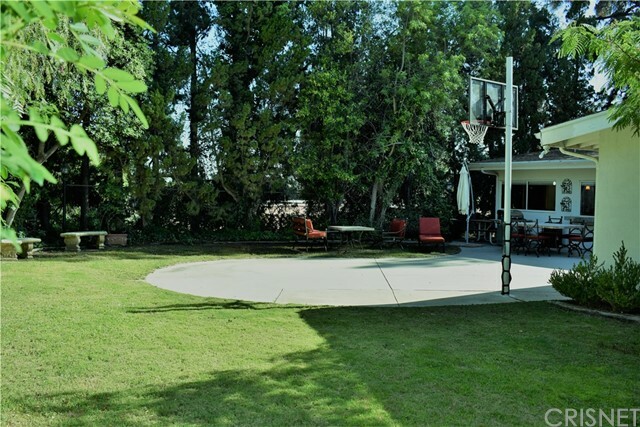 The backyard is peaceful and extremely private, with a basketball hoop and a large grassy area, lined with beautiful green trees, plants and flowers.